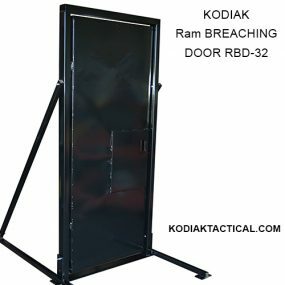 Instead of the resistance that is used with our traditional Multi-Breach class 2 steel industrial door, the Kodiak Interior Breaching Door offers less resistance making it perfect for training with less fortified interior doors yet still incorporates the same durability that is found with our Multi-Breach Door. As with our Multi-Breach Door, there are no consumables! 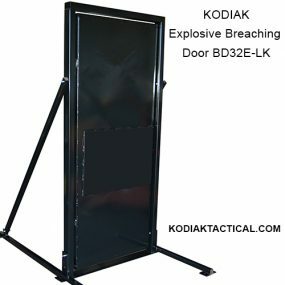 Typical methods of entry for the Interior Breaching Door may be forward or mule kicks, sledge hammer and even a battering ram. Constructed of high strength steel with stainless steel hardware. Available in 30, 32 or 36” wide doors. Each door system is manufactured to your requirements giving you the ability to purchase the size you need for your training. 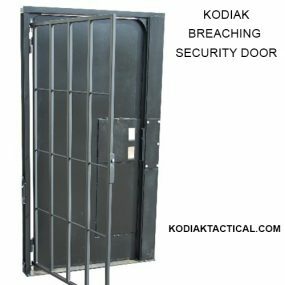 KTS utilizes an oversized 3/8” thick impact plate which may be configured to cover the entire width of the door as shown. 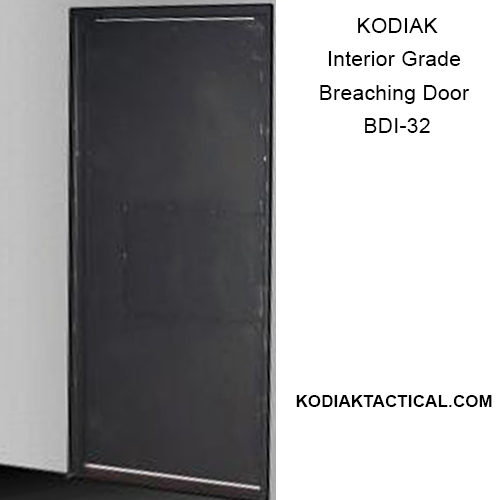 The BDI series of doors can be equipped with breachable hinges utilizing vertical impact plates for use with linear strip charges, ram or other mechanical method of entry tools. Each door utilizes 2 industrial ball bearing hinges for smooth operation. Multi-Breach Door which includes all of the above plus it uses no consumables! 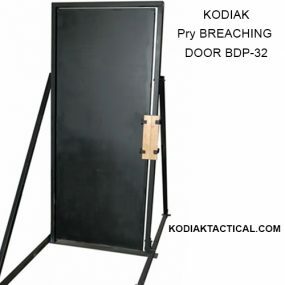 All of our BREACHING DOORS are made to your dimensions and may be used as free standing or built in an existing structure.